Does this sound familiar? Has your current diet and exercise routine started to fail you? Are you spinning your wheels, trying to kick that stubborn belly-fat? Is your energy non-existent? Our bodies are dynamic and change constantly. Stress, diet, age, activity level, digestion, toxins and sleep can all disrupt our hormones, causing our bodies to fall into a holding pattern where nothing seems to be working. This is when people tend to exercise more and restrict calories, which only adds another layer of stress to the body. Sometimes you just need to examine your current lifestyle and micro-tweak where there are imbalances. In this beautiful ladies case, she didn't need to lose weight, but her routine was no longer serving her. 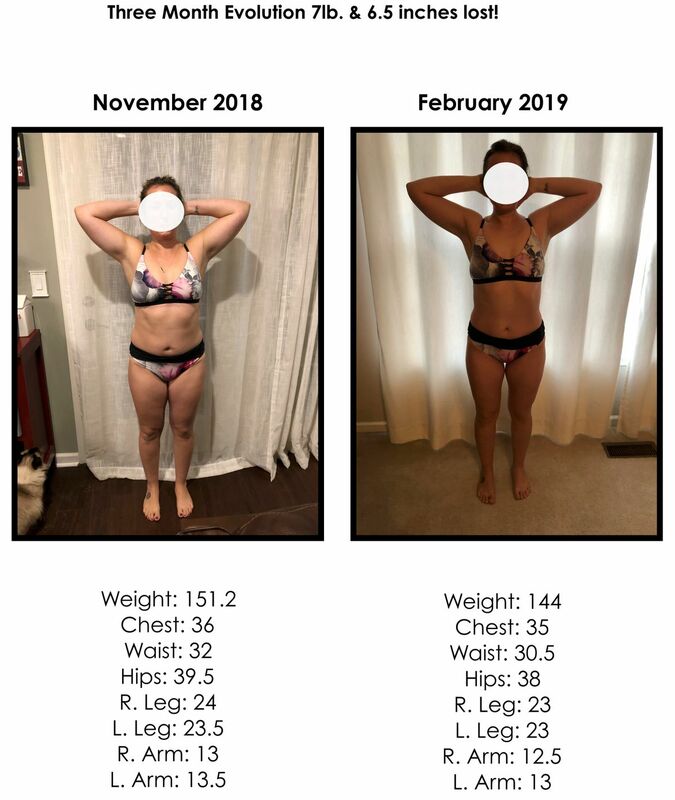 After three months of coaching, we re-styled her lifestyle and as a result, she's lost over 7 lb and 6.5 inches, she feels better and she's no longer over-training. What was your “WHY” to embark on your health & wellness journey with Thrive 9? I wanted to become more healthy. I wanted to have tools to help me overcome bad eating habits i.e. binge eating. I wanted to determine what foods were best for my body and what foods were causing bloating and gas. How many inches have you lost with Thrive 9? What dress/pant size did you start with and what size are you now? How long did it take you to reach your goal-slow and steady wins the race? I am still working toward my goals. What is the most valuable piece of info you’ve learned with Thrive 9? What does a typical Thrive 9 day look for you food wise now? Have you established a morning routine? Have you established a regular fitness practice? If so, what have you changed or added? 1 day hiking, playing outside with kids, walking dogs, soccer etc. How do you look at food now? What is the biggest takeaway you’ve learned through Thrive 9? No longer over training means I am not nearly as hungry. I do not feel obligated to eat animal protein. I feel more satisfied by the food I eat. What other improvements besides fat-loss have you seen on in your overall health? I am stronger now than when I was over training and lifting weights because I am more focused on good form and core strength. My relationship with food has improved. Instead of binging and feeling controlled by food I feel more in control of the choices I make in regards to the food I put in my body. Less overall body aches and soreness. What is the biggest diet & exercise myth that Thrive9 busted for you? You don’t have to eat animal protein at every meal or eat 6 meals a day. How did you reach your goals and how compliant and consistent were you? Still working toward my goals. I had a lot of struggles with my binge eating through this process. But implementing Thrive9, counseling/ celebrate recovery, and a strong yoga practice have helped me to improve my eating behaviors significantly. Do you love to workout & eat whole foods now? I always loved to workout and now I appreciate the ability to workout and not over train. I really do enjoy more whole foods and especially how my body feels eating them. Do you count calories or measure your food? I definitely do no count calories. I measure food for recipes or as a means to be mindful (i.e. a handful of nuts) but I am definitely no longer weighing everything on a scale!